Blog: The Things We Take For Granted As Africans & Ghanaians, I Am Guilty, What About You? I have always recognized that Africa and for that matter Ghana is auspiciously blessed with so many things that money and power cannot purchase. As another Ghanaian out there, despite the fact that I am sentient of the beauty of our naturally endowed landscapes, water bodies and their astonishing features, this has not stopped me from taking these things for granted. It is quite normal and nothing spectacular to many that live in Ghana to visit the seaside (beach) and enjoy some of the fresh sea food that we fall on whiles at the coast or beach. The ease at which we get access to the various beaches in Ghana and Africa together with the little we pay out to enjoy the diverse delicious seafood out there have not given us enough reasons to reflect on certain things which would enable us to fully appreciate how blessed we are as Ghanaians to have these things at our door steps. It would not be that bad if it is just about our failure to appreciate that which nature has blessed us with, most of us are and have taken these naturally provided facilities for granted. I am one of the many Ghanaians who did not recognise how blessed it is to easily have access to the beaches, enjoy the amazing atmosphere and sea front as well as feed on some of the most delicious and highly nutritious sea food. I know many of my readers have not sat down to impeccably reflect on some of these things. I was also guilty of this until just last week. I couldn’t make it to Ghana this summer as I have been actively working on GC to push up its revenue among other things. Blogging on GC sounds interesting, easy and luxurious (getting paid to write) but it takes a lot of time and if you are not careful, it can overshadow your entire social life. I decided to take 6 days off and visit Brighton with the intent to enjoy the hot weather at the beach. In other to keep it as a vacation and not sneak in on work (working on GC), I decided not to take a laptop. I got to Brighton and the huge amount I paid just to get a seafront hotel got me deeply thinking. Like some wall clock, it ticked my mind…. “But we have so many beaches in Ghana and we do not pay this much to get close to them…. Hmmmmm”. 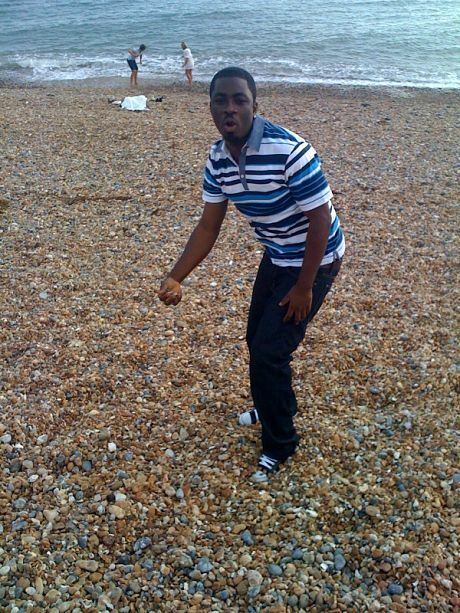 At Brighton, the weather was not that great compared to what we have in Ghana and the beach was a pebble beach. We have beautiful sand beaches and good hot sunny weather back home in Ghana. Day in and day out as I relaxed on the pebble beach of Brighton where I gazed far into the sea under the unstable weather, I felt like a King with no worries, enjoying the beauty of nature. As much as the feeling was great, the money that went out of my bank to enable us enjoy our stay was also great, far greater than what I would spend to enjoy the same, “NO”, even better weather and amazing sand beach in Ghana. When I decided to check out on some seafood at a nearby beach restaurant (picture above), to my amazement the Lobsters and Crabs were going for 30 and 20 pounds. In Ghana, many take these seafood especially Crabs for granted (Many have even tagged Crabs as poor man’s meat). I saw and met so many people out there, few Ghanaians who have also travelled from certain parts of land lock UK to come and pay huge money in other to enjoy Brighton’s pebble beach and eat some fresh seafood. Back home, this was always at my door steps, I paid no special attention to them, nor did I acknowledge how blessed I was to have them at my disposal. When the time came for us to leave, I realized how “much” many Ghanaians including “myself” have taken for granted the things we are blessed with. We throw a range of rubbish into our sea, we treat our beaches with disrespect and above all, we pay less to enjoy our beaches and seafood, yet we do not appreciate them as much as we should. From now, anytime I am in Ghana the beaches will be my favourite spots, I would not take these things for granted any more and hope you would not too. To those in Ghana, appreciate the various natural landscapes and water bodies out there, many like us here are paying a lot to get close to these things. Count yourself lucky to have them at your finger tips. Some people and countries wish they had these beaches at their reach. I hate these kinds of beaches where u can’t joke around barefooted. The sea-sands are sea rocks. You’re only compelled to wear boots or get ur feet swollen, wearing shoes at seashore? – that’s so ridiculous. No sand castles and all those damn natural feelings in GH. I hope you enjoyed your vacation with her…..Chris-Vincent. Looks like you had fun. It is very true….we taking stuff for granted……..I remember not respecting foods like Ga Kenkey,Gari,Koobi etc back at home,now i have to pay $1.50 for a ball of Ga kenkey,$7 or more for Koobi,$6 for some small quantity of gari and the list goes on……………. WelI, just saw this and decided to read.Atleast i learnt something new.Personally I aint a fan of seafood but I guess I will start giving it a try. I now know the guy behind the stage.Nice pix, I see you had fun. girl seafood is good. 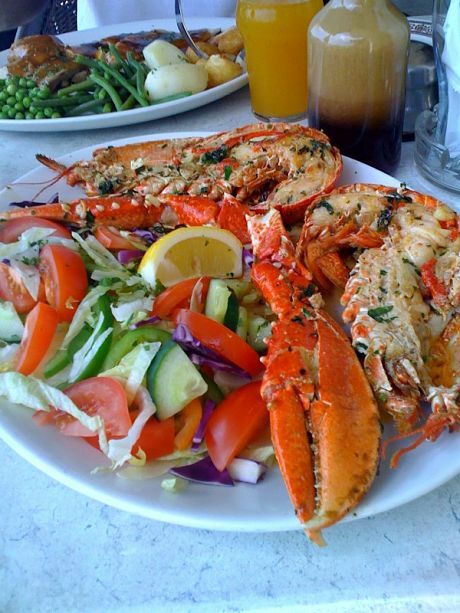 I love seafood and it taste better than all those meats and chicken. They are healthy too. I LOVE ME SOME SEAFOOD.